What a moving story. I pray God will use your story to open the eyes of others who are deceived by the teachings of the Roman Catholic Church. Hi. I’m not Catholic, but can relate to your testimony through a friend of mine from church who was once a member of The Catholic Church. When I first met her in Sunday School during a Bible study on The Gospel of John she was seriously struggling with feelings of condemnation instilled in her in her 30 – 35 years as a member of The Catholic Church. No matter how many times I & others tried to help her understand there is nothing we can do to make God love us more than He does or less & that works alone do not save us she always left doubting because she was convinced God won’t forgive her unless SHE undid everything wrong she had ever done. Eight years later she is finally understanding God’s grace & that Jesus did everything necessary to satisfy The Father’s wrath. She is now a very joyful person & a very new person. She has gone, through God’s work from a self-loathing sad person to one whose eyes have finally been opened. She has learned it’s not all about us, but about God’s free gift of grace & Jesus’ fulfillment of The Father’s plan of salvation. Please know you’re not alone & that everything is possible with God. My friend is proof positive of this truth. Thanks for sharing & may God go with you always! What a WONDERFUL testimony of God’s grace and freedom through Christ and Christ alone, and a clear example of how Catholics do not understand the truth of what Jesus did when He died and arose from the dead! Thank you SO much for sharing that! And thank you for your desire to share the truth of the gospel with those who do not understand that Jesus indeed FULLY satisfied God’s wrath that He has towards all of us because of our sin. But praise Him that He provided the Perfect Sacrifice — His one and only Son, Jesus Christ, God in the flesh, who lived a perfect, sinless life that we could never live — and made a way for us to have a personal relationship with Him through Christ, and Christ alone. God bless you and continue to use you for His glory! A fellow blogger named Glenn E. Chattfield had wisely told me of your blog, and I see that you are an ex-Catholic. So I was wondering what your comments were on the people who departed from Protestantism to be united under the umbrella of Romanism? How did they manage to deceive themselves in the first place? I am just curious. Hi Jesse 🙂 Welcome! And thank you for your very good comment! Actually I am in the process of writing at least three different posts that will somewhat be addressing your very good question, but basically I will tell you that it’s because of “experiential” reasons; it’s due in part to the fact that some who are true believers in Jesus Christ are being lured into Catholicism by their emotions through the many traditions and ceremonies in Catholicism. Others are uniting because they are not true Christians and do not have the Holy Spirit to guide them into all truth, and others are uniting because they believe the lie that many are presenting to them today which is that Christians and Catholics have the same beliefs and preach the same gospel. As you now know, I am a former Catholic, therefore, I can speak by experience and say that simply is not true; Catholicism presents “another Jesus” and “another gospel” (2 Corinthians 11:3,4, Galatians 1:6-9), both with no power to save, which is why my heart is burdened for Catholics to come to the knowledge of the truth and place their trust in Jesus Christ and the truly good news of the Biblical gospel. 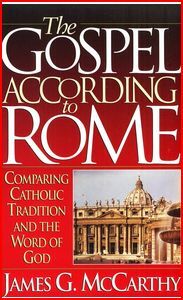 One main reason why many are “uniting under the umbrella of Romanism” is because they are failing to test the teachings of Catholicism against Scripture, which is why I saw the importance of writing the series comparing the teachings of the Catechism of the Catholic Church to their own Scriptures so as to warn Christians what Catholicism actually teaches so they won’t be deceived, and to also help precious Catholics come to realize what their own church actually teaches compared to what God says in His Word. Lord willing, I will go back to writing more posts comparing the CCC to the Catholic Bible as soon as I finish writing a few posts that I am presently working on, and after I finish writing the series concerning apparitions which is actually another reason why some people are departing from Protestantism and uniting with Catholics adding to the list of reasons that they are uniting based on “experiences” and not according to Biblical Christianity. Many of the messages given during apparitions strongly conflict with Biblical truth as I have tried to document already in some of my previous posts. The information that I will be providing for everyone in the next few posts will show you just how emotionally captivating and enticing these teachings really are that are being presented to those who are seeking Jesus Christ through mystical experiences rather than seeking to know God more deeply by reading His living Word, the Bible. We must study God’s Word very well and test everything against Scripture so that none of us will be deceived and led into Catholicism, or into any false system of beliefs. 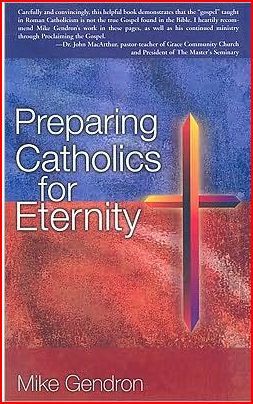 The Emergent/Emerging Church Movement with all of its emphasis on mysticism through practices such as walking a prayer labyrinth, prayer stations, icons, etc., is another way in which many Christians are being lured into Catholicism. One of the largest churches in the Chicago area, and probably even in the United Stated — Willow Creek Church — incorporates many of these mystical practices in their programs there. One particular program is called ‘The Practice,’ in which many people gather together with a Catholic priest and they all pray using icons and other unbiblical Catholic forms of prayer: taize, Lectio Divina, Contemplative Prayer, silent prayer, etc. God bless you, Jesse, and thank you again for your very good question!